Aesthetic functionality is what characterises Rolf’s furniture designs. This designer’s storage is clean and simple, and offers a myriad of possibilities for individual combinations of colour, types of wood and units. According to Rolf, the demands for tailor-made solutions will be even higher. Rolf Fransson considers that his inspiration comes from journeys to stimulant countries such as Italy. In 1995 Rolf received the consumer's acknowledgement receiving a “Diamant Emma” award for his storage series, a competition arranged by the readers of magazine “Madame”. 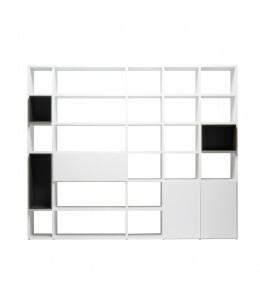 Arctic Cabinets let you design your storage: wall cassettes, cabinets, shelves. Wall mounted or floor standing.